The Wine Country Filter system with a Neutral Density filter in place. And, for those that may comment, the filter is in the system properly. Camera filters are an interesting topic amongst photographers. In my travels, I’m amazed at the differing disciplines of using filters amongst photographers from different countries. 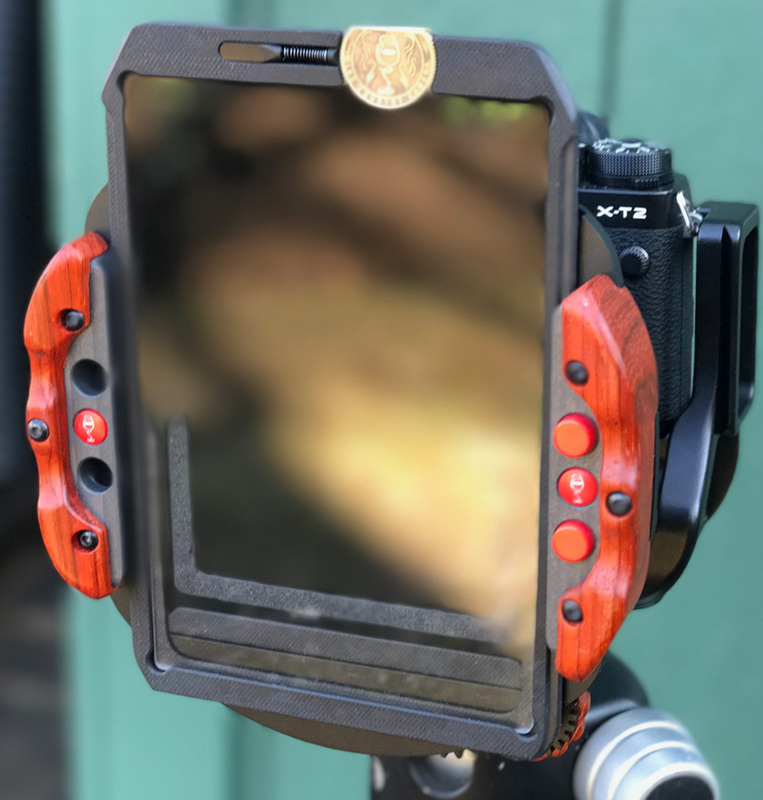 I have been teaching workshops since 2005, and almost every photographer from Great Britain and other European countries use grad filters almost religiously, while photographers from North America hardly ever are seen using them. The most popular filter system I encounter is Lee filters. 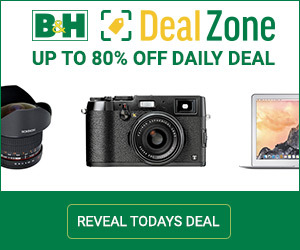 They are very well known, especially for their Big and Little Stopper Neutral Density filters. They also make a wide line of varied graduated filters. Photographers typically use grad filters to bring an exposure within a close tolerance between dark and light subjects, the majority of which are sky and ground. Note: Numerous images in this article can be clicked on to see full size. Please see the caption, under images for those that you can do this with. This allows a photographer to shoot a landscape for example, and not burn out the sky. Of late, the argument is that these filters are not needed since cameras have such high dynamic range and post processing has the ability to recover highlights and shadows so well. We’ll leave the debate on that for a topic on the forum, because what I want to highlight today is a NEW and innovative way to use these filters on your camera. For me, the filters I use the most are a polarizer and neutral density. The polarizer obviously is of great use to cut down glare and reflections. It takes practice to know when to use this filter and how much to use it. Depending on the direction of light relative to the camera, it can make skies bluer and cut the glare off of water so you can see under it. For this reason, a polarizer is a must in any camera bag. The other filter I have used a lot is neutral density. This filter allows a photographer to lengthen the exposure in bright conditions and allow a longer exposure. Typically, we would use this filter to smooth out moving water and to blur clouds in the sky as they move throughout the long exposure. These filters come in a number of varieties of densities, ranging from somewhat dark to so dark you can’t see through them. If you are like me, you will have a lot of filters in your kit. If you own a multi–lens kit, it’s a good possibility that each of your lenses will have different filter thread sizes. This means you’ll need a filter for each lens for the type of filters you use. 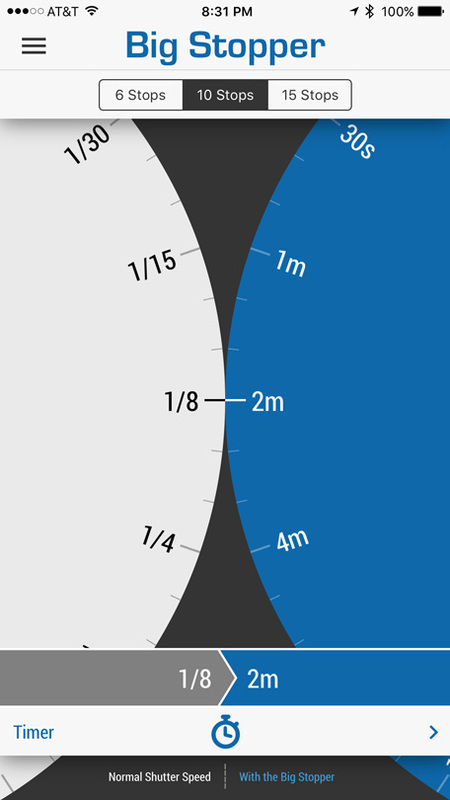 So, if you use a polarizer and 3 ND filters you’d need a set for each size lens. 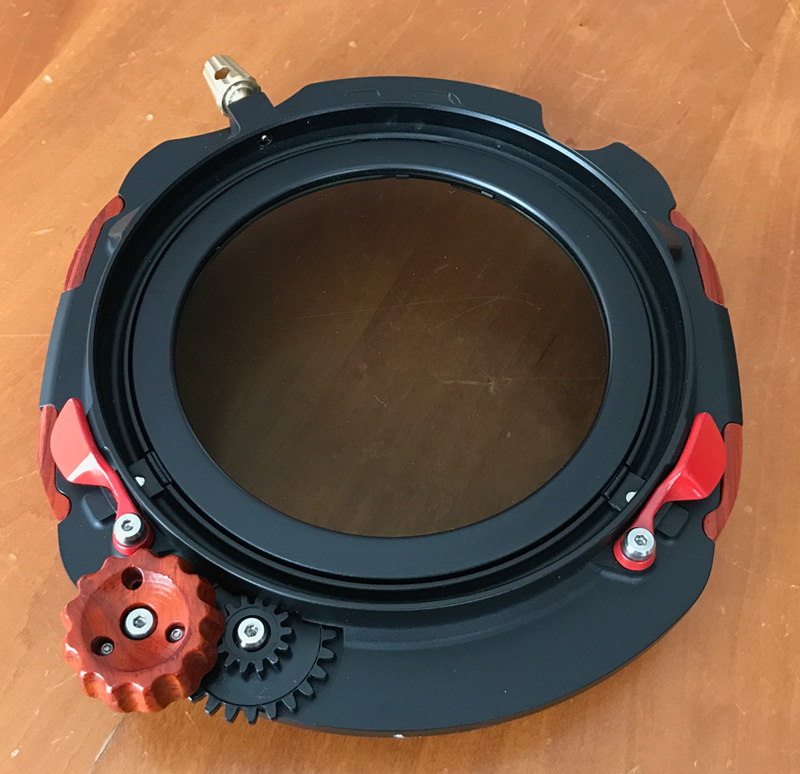 You could, of course, buy a larger filter size and use a series of step up and step down filter rings to adapt to the different size lenses. For me, that is just one more thing to slow you down in the field when trying to take photos. For most of my career, I used screw–in filters and this type of system. So, for many of us we adopted a filter system like Lee. Lee made a filter holder that would mount on a lens. Yes, they had step up and step down rings also, but there was only one filter. The Lee filters were square or rectangular pieces of glass that would slip into a filter holder. Typically, you could stack 1-3 filters in this type of system. They were held in place by a spring mechanism. They worked just fine, but were awkward to work with. Lee makes great filters and are famous for the Big Stopper and Little Stopped ND filters. As a side note, I talk about the Lee filter system in this article, but there are others out there like the Cokin and Formatt-Hitech. But for the sake of discussion, I’ll refer to the Lee system throughout this article since it’s the filter that I use. With the Lee system, you would be handling pieces of glass that needed to be held by the edges to avoid fingerprints. They were easy to drop and the filter holder itself was not the best built. I lost screws holding my filter slots more than once. For years when using this system, I always thought there had to be a better way. Well there now is. It’s the Wine Country Camera Filter system, invented by Rod Clark, a photographer from California with many years in the filter business. For years, Rod was looking for the ultimate filter system that overcame all the issues that were challenging to photographers. When he couldn’t find a solution, he left his job and set out to make the ultimate filter holder. Working closely with a friend, he designed the Wine Country Camera Filter system. 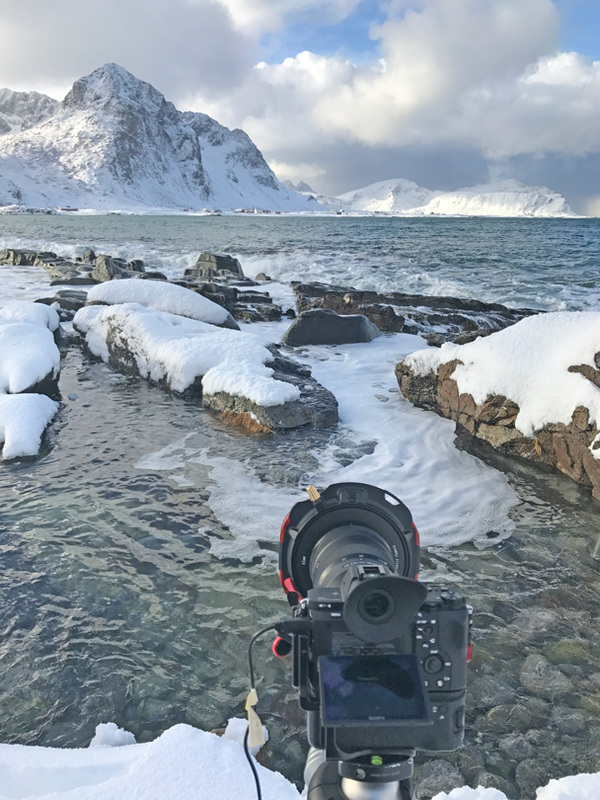 I recently had the opportunity to work with it on a trip to Lofoten, Norway, and now I am totally hooked. Let’s look at the system and why I like it so much. First, let’s cut to the chase. This is a more expensive solution than you’ll find elsewhere, with its fancy with wood handles and intricate gearing. However, like with many things with high prices you get what you pay for. I watch photographers on workshops struggle with gear that was purchased at low prices. I am a person who wants to buy the best there is, even if it is more costly. In the long run, investments like this have always been worth it. A tripod is the best example of this. I see people bring a flimsy tripod on trips and then try to do long exposures in the wind. It’s never successful. A good tripod will set you back a bit of money, but it‘s one of the most essential pieces of gear you’ll buy and it will last a long time. A filter system is the same thing. You can purchase a cheaper system, but in the end you’ll struggle with it and most likely purchase a new holder of even new filters, which is what I have has to do in the past. The Wine Country Camera Filter system is an investment that will last you a long time and serve you well. The system is designed to work with Lee filters or any other 100mm filter system. The first element to the system is the filter holder rings. These are like step up rings and they are large and finely engineered. I primarily work with Sony and Fuji mirrorless systems. 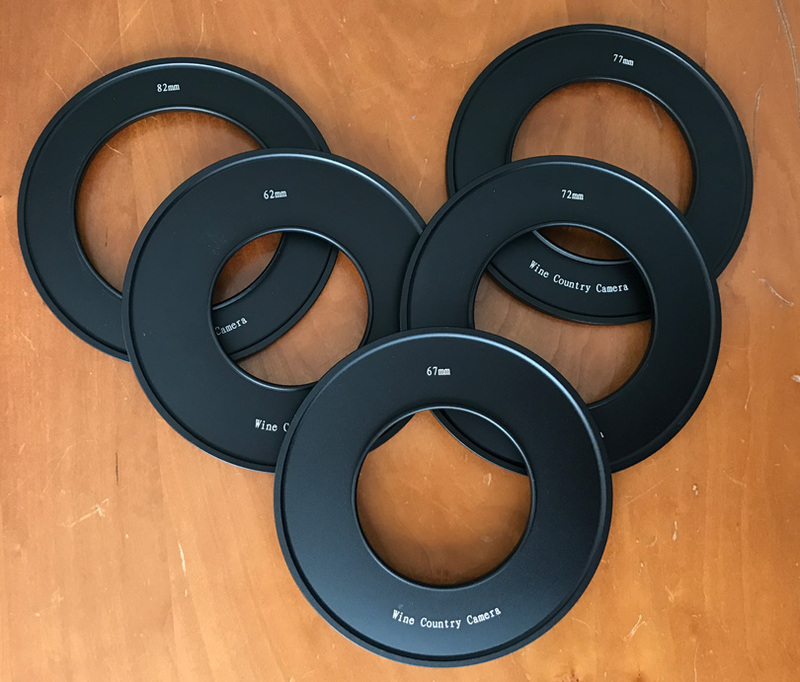 To accommodate my cameras and lenses, I ordered a 62mm, 67mm, 72mm, 77mm and 82mm adapter rings. These sell for $50 USD each. I then ordered the 100mm holder kit. The kit includes one adapter ring, one 100×100 filter vault (we’ll get into the vault things in a minute), a 100x150mm grad filter value, and a circular polarizer. In addition, I ordered one more 100×100 and two more 100×150 filter vaults, as well as a filter vault case. This would accommodate all the filters I presently owned, which were one Lee Big Stopper, one Lee Little Stopper, and the Lee grad filters. The Lee filters purchased from B&H Photo will run around $500.00 USD for the set I just described. The Wine Country Camera Filter system was $450.00. The extra filter vaults were $35.00. 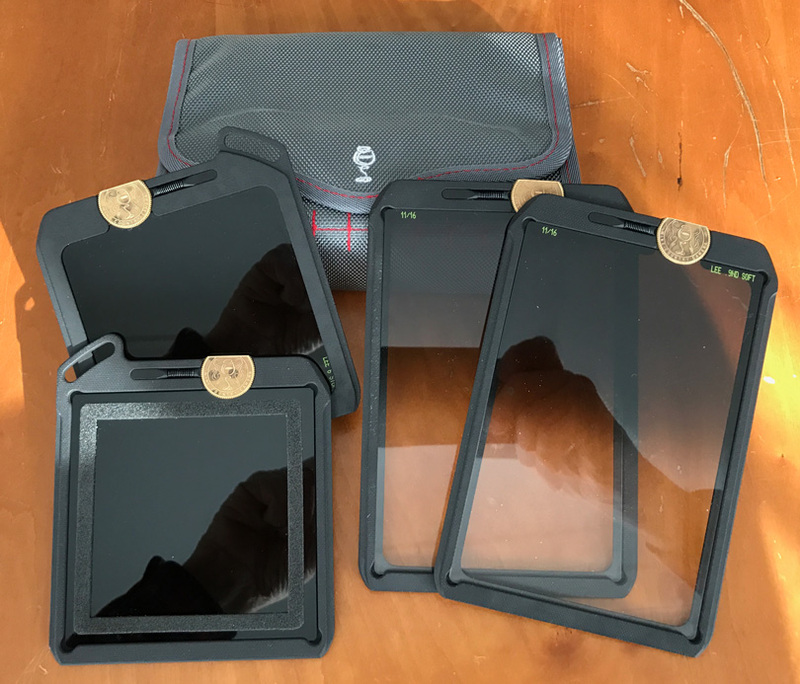 The total cost for the system from B&H Photo will be around $749.00, plus the Lee filters at $500.00, bringing the total set up to around $1250.00 to get everything new. Frankly, I think it is a worthwhile investment, especially after working with it. 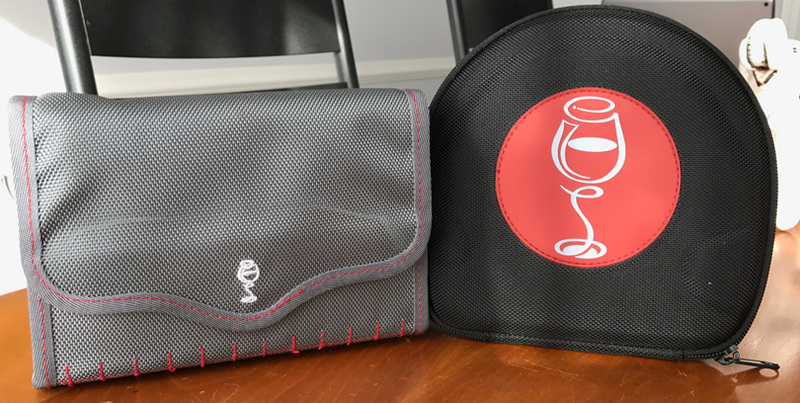 The Wine Country Camera Filter system is delivered in a nice zippered case. The first thing you will appreciate is the look of the device and the engineering that went into it. 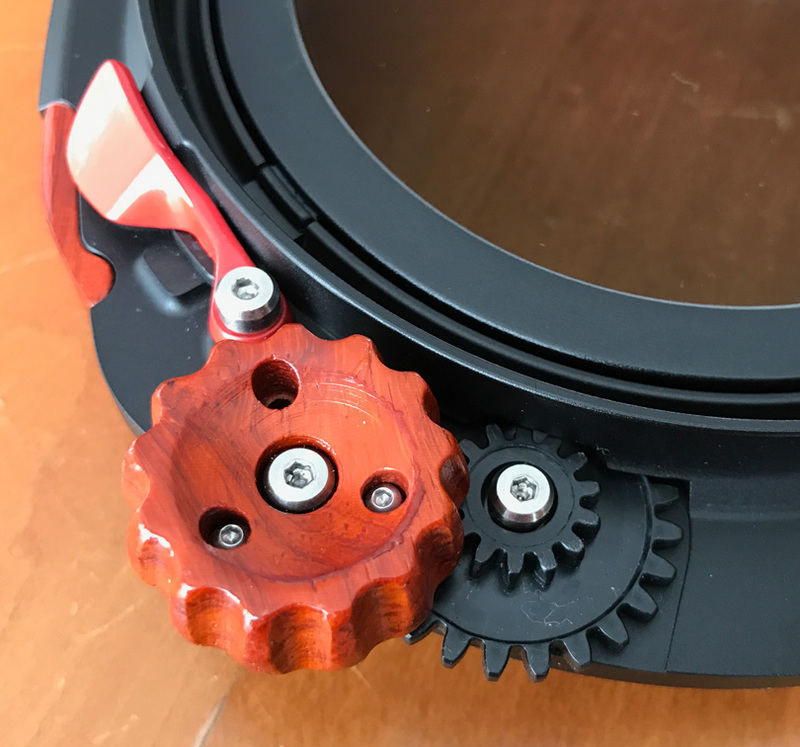 Plus, you’ll quickly see the wood handles and gearing used to turn the polarizing filter. The polarizer is held into place with two red levers. It’s very easy to remove the polarizer if needed. At the top of the filter holder is a brass knurled knob. This is used to tighten the filter holder to an adapter ring. If you are like me, the first thing you’ll do is spin the knob and rotate the polarizer. You can’t help but smile when you feel how nicely it works. I looked through filter at a number of different things and watched the changes take place while rotating the polarizer. There are two red levers, one on each side. 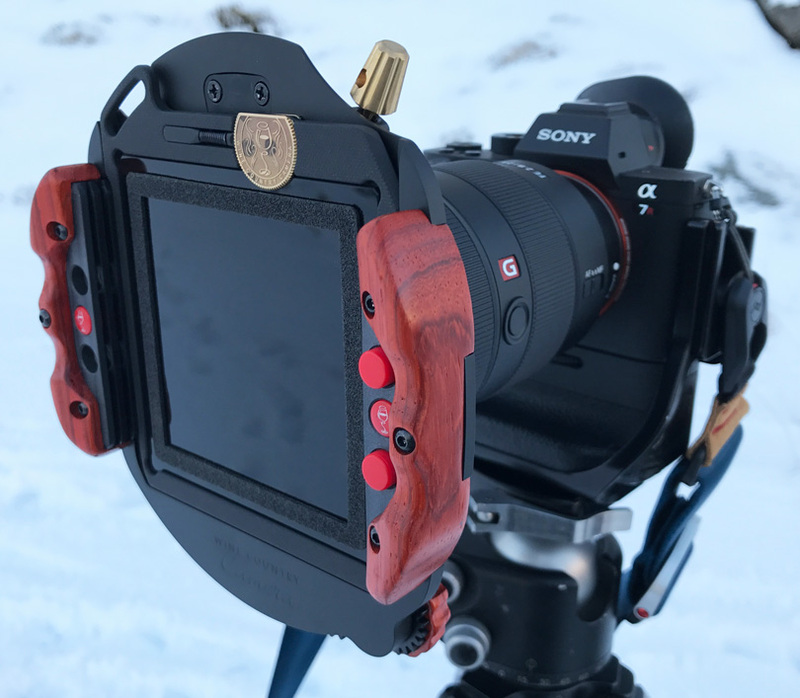 The wood knob rotates the polarizer. 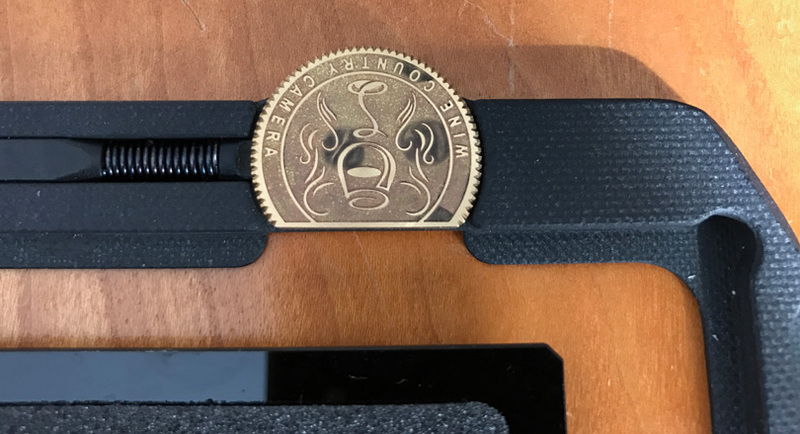 Turning the holder over, we have two wooden handles and two buttons on one side, plus three slots for filters. The filter slot closest to the camera was primarily designed for the neutral density filters. The Lee neutral density filters come with a piece of foam attached to them. That’s used to make a tight light seal in the Lee filter holder system. That foam is not needed with this holder. I actually found I had to flip the filter with the foam around so it faced outward. The tolerance of the filter folder and the ND filter is so good it does not allow in any stray light. 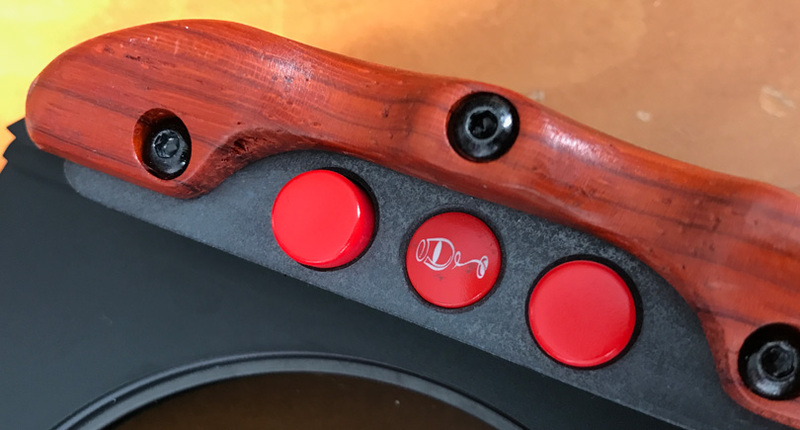 There are two buttons on one of the wood handles. These are used to lock to graduated filters in place when being used. A filter vault. It serves as a frame that holds the filter and protects it as well as allowing it to slide easily into the filter holder. The Lee glass filters are placed in filter vaults with this system. These are well–engineered frames that a filter sits in and then are locked in place with the brass coin knob on each filter vault frame. This is a cool set up as you never touch the glass with this system. The filers easily slide up and down in the filter holder slots; you push a red button and slide and let go to lock. There is a button for the front and middle slot. The rear slot is used for the ND filters. Lofoten, Noway provided me numerous occasions where I could use the system. When I came upon a scene that would require a filter, it was a breeze to set up. Using the Sony a7r II camera and the 24-70mm lens for example, I would select the 82mm adapter ring. I would attach the filter system to the ring, level it, and tighten it with the brass thumb screw. I would then focus and compose my shot. Using the polarizer, I would rotate it until I got the effect I wanted, usually cutting down the glare on the water or darkening the sky. One focused, I would set the lens to Manual Focus and the shutter speed on Manual. I would determine the proper depth of field and set the f/stop. For the most part, I started all my exposures at ISO 50. Before putting the ND filter in place, I would determine a proper exposure for the scene. Then using the Lee Filter app on my iPhone, I would set the shutter speed for the exposure I found worked without the filter. The app then told me based on which ND filter I selected what the proper exposure time would be. There is even a timer portion of the app for counting down long exposures. For many of the images, I would set the camera to Bulb mode and use the shutter release to lock the shutter open, and then unlock it after the time was correct. The app had a loud alarm to let me know exposure was complete. I typically use noise reduction (NR) for long exposures after each exposure. This means that the camera will do a black calibration exposure for the same amount of time to map out noise produced during long exposures. I tend to always use this setting. I know many people who turn it off and deal with noise in post work. You’ll have to decide what works best for you. When needed, I would also add a grad filter (even though I’m not a big fan of them). The grad filter was used to reduce the brighter skies to avoid over exposure. If you have straight uninterrupted horizons, this is fine. However, most of the time I’ll create a layer in Capture One and mask out an area of brightness and deal with things that way. This allows me to mask around building, mountains, etc.. You’ll learn after a while what works best. If in doubt, do two exposures, one with and one without. The Lee Filter app helps you determine the proper exposure for whatever filter you are using. It also has a time so you can time your long exposures. For the most part, the system worked flawlessly. 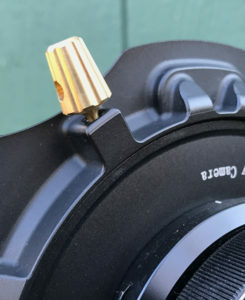 You need to be careful attaching the filter holder to the filter ring, and verify that you have the system seated properly before tightening the brass knob. Once I didn’t have it seated properly and it almost fell off. Once I realized this, I double checked the connection after that. 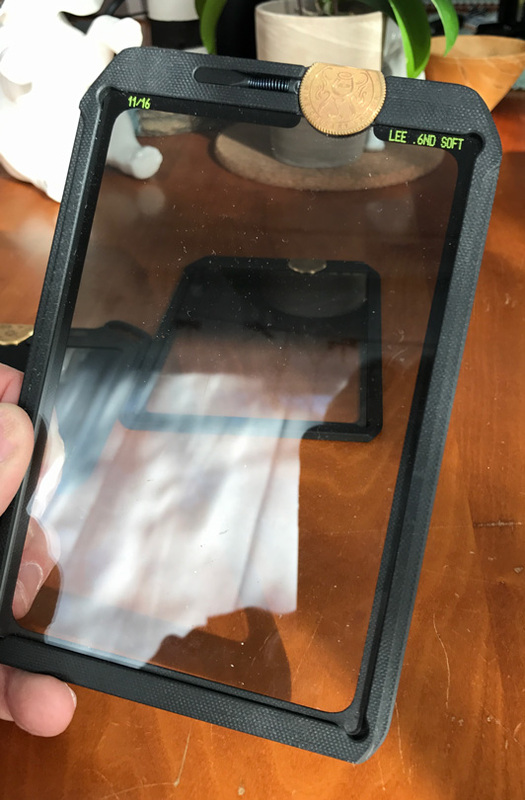 There is no lens shade when using a system like this, so you have to shield the lens with a card or something if you notice glare. An articulating arm with a black card that can be manually positioned to shade the lens would be a cool add-on (I know they are out there). I was working in some very cold regions, and I did have the gearing freeze up on me once where snow and moisture got in the gears from falling snow and froze. This locked up the gears that turn the polarizer. It took a few minutes of sitting in a warm car and wiping things down to clear up the problem. If you have shot in extreme cold, these are just things you will have to deal with. I also think it would be wise to have a second set screw for attaching the filter to the adapter ring. 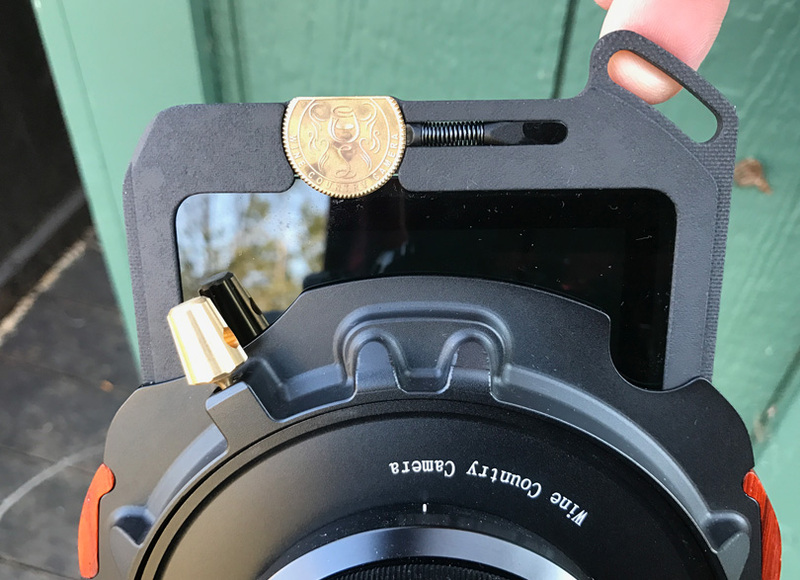 It’s a precaution, but also a kind of security to really hold the filter system on the lens and locked in at two points. There was some talk in forums about Lee filters not fitting the filter vaults sometimes. It seems the filter vaults are made with some exacting tolerances. Some of the Lee filter glass isn’t. I was told by Wine Country Camera that this has been fixed and if someone does experience a problem they will exchange out filter vaults to newer ones that have a bit more leeway. Also, it should be common sense that you keep plenty of lens wipes with you when working with filters like these. You’ll need to remove dust, rain, and snow as needed. Filter system with a Neutral Density filter, polarizer, and grad filter. This is a great filter system. I feel we have reached a point where using the Wine Country Camera Filter system makes it fun and easy to use filters again. The concept of filter vaults where one doesn’t touch the glass is brilliant. The quality and fit, as well as the cool inclusion of the rotating polarizer, makes this a dream filter system. Yes, it is an investment, but it is an investment in what I consider the best, as well as one that will last as long as you do. It will certainly allow you to make long exposures in a more efficient way.